An indemnity agreement protects you and allows others to bear the costs associated with damages. An indemnity agreement reduces your construction risks and could be a factor in controlling your total legal expenses. It is essential that the agreement itself describes the types of losses being covered, including legal fees. Some states do not favor indemnity agreements and present limitations to indemnity clauses in construction contracts. It is essential that the agreement identifies the scope and extent of the indemnification. This type of agreement works by protecting the contractor under one particular trade or series of events as explained below. Broad form indemnity: Under this clause, the indemnitor is responsible for his negligence as well as the negligence of a third party. This means that he or she may be liable for the sole negligence of the indemnitee. In some states, such as California, the indemnitee cannot transfer damages caused by his sole negligence or willful misconduct to the indemnitor. Intermediate form of agreements: This one puts the indemnitor assuming all the risks associated but not if the risk is the indemnitee responsibility. It is the preferred clause in the construction industry and could hold the owner harmless from any claims, caused by negligent acts or omissions of the owner. It requires all-or-nothing indemnification. Comparative form clause: This one requires a comparison of negligence. Under this clause, the indemnitor is held responsible for the loss caused by their proper actions. This type of agreement is based upon common law principals commonly recognized in the United States. The indemnitor is not liable for direct negligence committed by the indemnitee. Work-related clause: This one's rarely used, and doesn't require an act of negligence or omission. It only depends on whether the subcontractor was performing the work. Mutual clause: This one applies the same standard to each party, the indemnitor and the indemnitee. Compensation due to injuries or property damages. All types of property infringement. Legal costs and related expenses. Taxes and interests payable by a contractor declared on default. 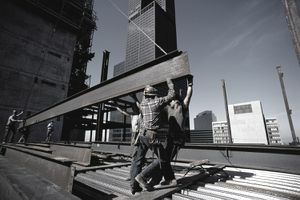 The AIA Document A201, "Standard Form of Agreement Between Contractor and Subcontractor," is one if the most used clauses on construction contracts. On its wording, it identifies the contractor as the one responsible for protecting is subcontractors, and other parties involving in the contract, including agent, employees or any other related party against claims, damages, losses, and expenses, including but not limited to attorneys' fees. The subcontractor is required to indemnify the contractor for all costs and expenses incurred for the remediation of material and managed by the subcontractor or where the subcontractor fails to perform its obligations. The exception to this is when the action is due to their negligence, so they will need to cover their cost and expenses. If you decide to use ConsensusDOCS "Standard Form of Agreement Between Contractor and Subcontractor," ConsensusDocs 750, you will also be covered with an indemnity clause specified under section 9.1.1 and 9.1.2. Both of these contract forms limit the subcontractor's obligation to indemnify the contractor. This last form imposes additional indemnity obligations not covered under the AIA A201 form. In addition to these clauses, it is essential to consider all other insurance requirements. When possible the contractor should try to limit their responsibilities to items they can control and for those which we can be insured against. Sometimes mutual indemnification is needed, but a good understanding and precise scope of responsibility need to be drafted so legal counselors can address the situation. At that point, you'll need to learn how to write a letter of indemnity.